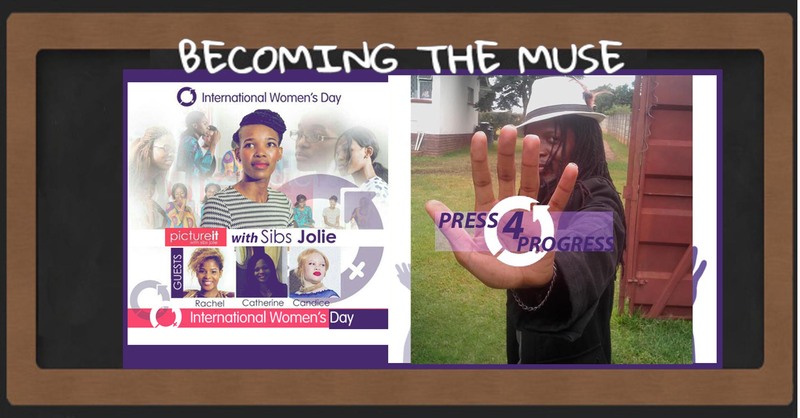 Yesterday I had the honour of being on the set of Picture It with Sibs Jolie hosting a special International Women’s Day edition. I promised myself that I would play my part, even if my part is to be a fly on the wall; to observe and write down; to amplify voices in the way a writer can. I sat amidst a handful of other men in a roomful of women and I will confess though I didn’t know what to expect, but I did wonder if this is how women felt all the time, like must you ask for permission to simply be yourself, to be where you are, to belong, to be part of…………. At the rate we are moving; according to various studies; the gender gap will be closed in over 170 years. 170 years that’s how long it will take unless some serious changes happen to the way we have been taught to think and act. Candice mentioned that the world was never ready for the force that is women. (Well the world better start shaping up and taking notice stop being stifling) Candice said that before you hold yourself back from doing something ask yourself “whats the worst that could happen?” You could fail and if you fail you learn, that’s experience; its also ok to be scared…..
You must constantly open yourself to new experience, learn and teach what you learn! One of Candice’s goals is to make at least one person smile every day, she says for her it makes her that even if just for a little bit she has made that person feel better……………………. Pastor Catherine Magadzire spoke on how we are all wonderfully and fearfully made creations. She said that we do not need to ask for permission to shine or to be the best of version of yourself. Pastor Magadzire is a pastor not because he her husband is one; her husband is titled pastor by marriage to her. If a woman can make a home, can she not also run a business successfully?? Rachel Adams introduced herself as being from a small town and as with most small towns the dreams there are small. She still maintained that you should dare to be anything you want, to light that candle and courageously take your place in the world, and breathe properly while you are at it, you just might be surprised what a breathing exercise each morning could do for the quality of your life…..
Rachel made a thought provoking remark about how its not all about man holding back women but that women should start fully being themselves; to stop thinking of themselves as just women but as human beings to proudly and unapologetically be who they should be…. She is not only on her way . Ps At the end of the day what I took home is that if we strive to be the best human beings we could be and helped others to be their best selves, as a candle lights another, maybe gender parity could be achieved tomorrow….